The Graphical Script Design Environment allows intuitive design of the IVR system. Action Modules are drag-and-dropped on the screen, and then Paths between the modules are specified, indicating which module the caller should be directed to depending on caller's previous selections. 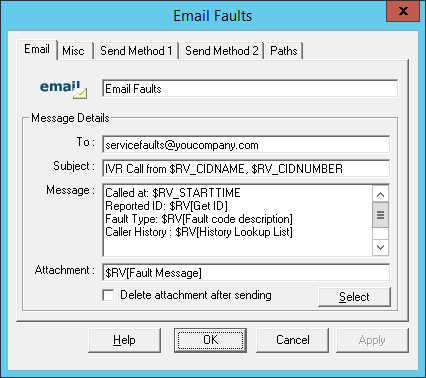 The Administrator's Voicemail Manager GUI allows easy management of VoiceGuide's built-in voicemail functionality. When running, VoiceGuide displays the status of each telephone line under it's control.